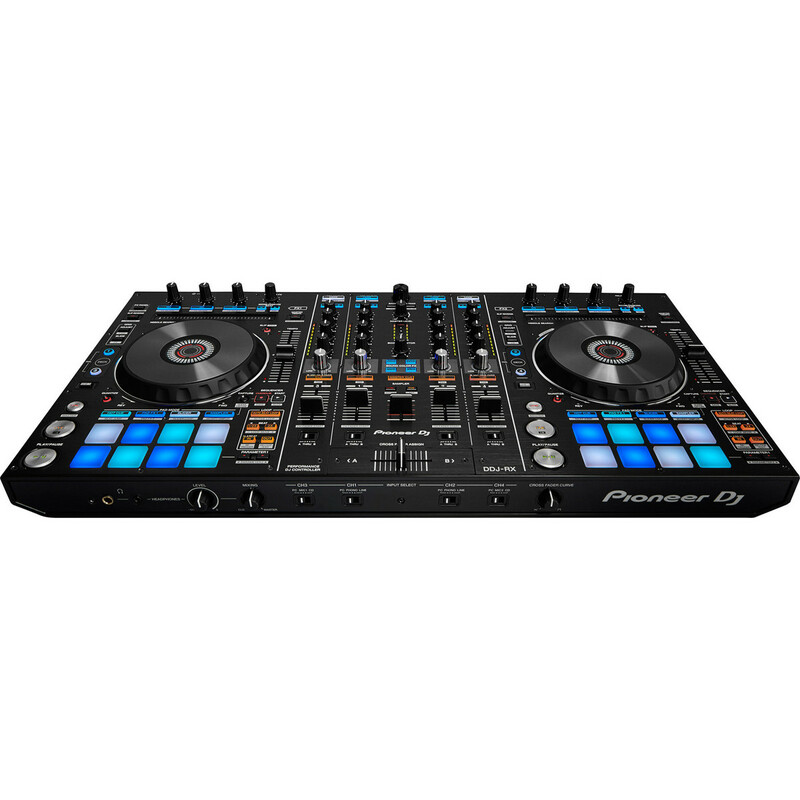 The Pioneer DDJ-RX DJ Controller is the first professional controller that's designed specifically for Rekordbox DJ software, providing you with the flexibility to prepare your tracks in rekordbox™ and then get plug-and-play performance directly from your laptop. 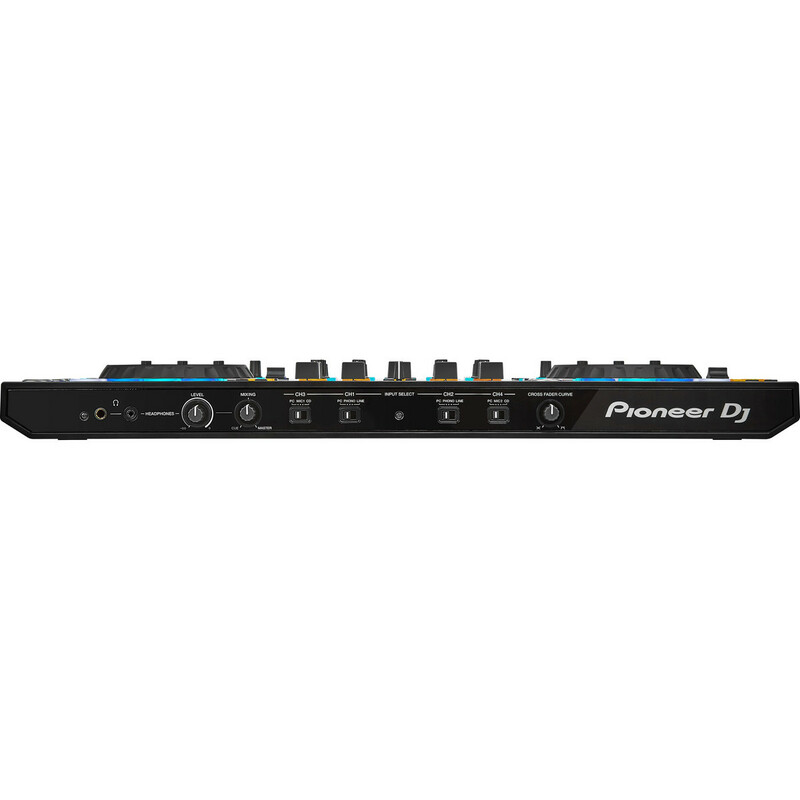 The DDJ-RX controller mirrors the software's layout precisely, enabling intuitive and creative performances. 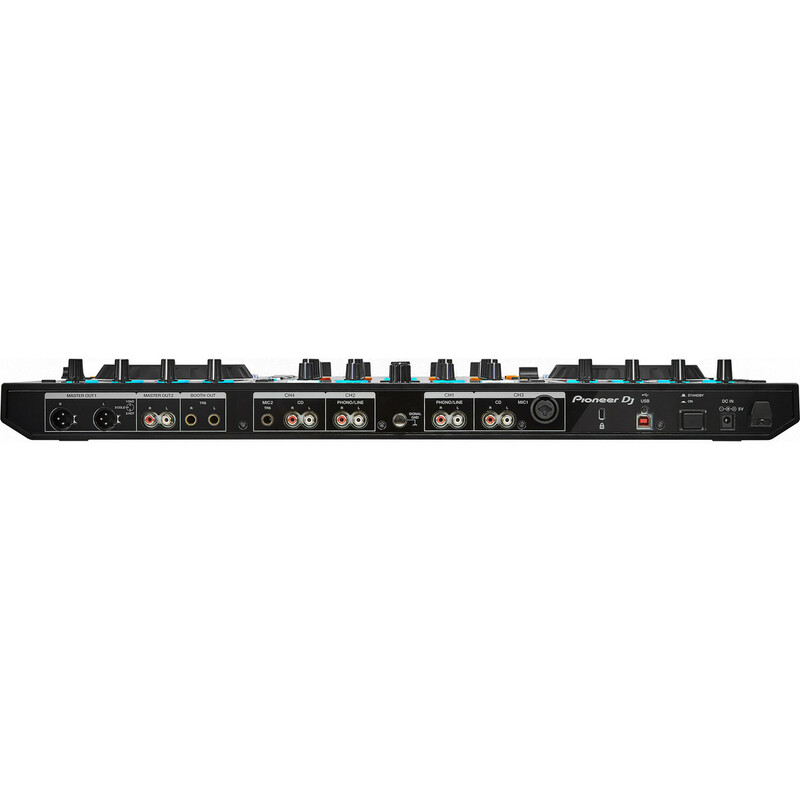 This 4-channel controller is equipped with 132.5mm jog wheels, independent level meters and trim pots for greater control and can be used as a stand-alone mixer - the DDJ-RX takes the creative possibilities even further. 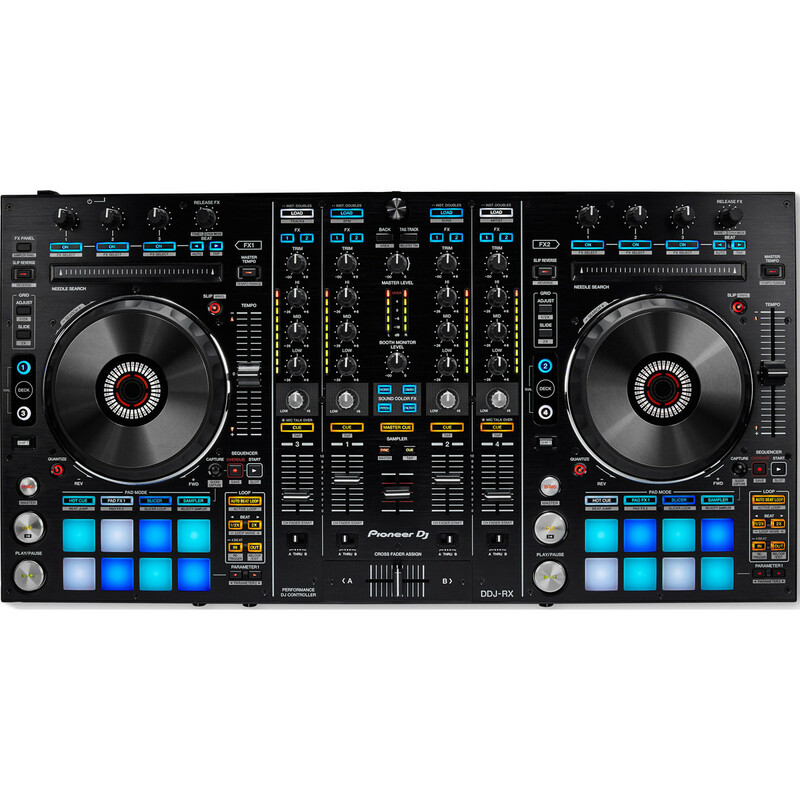 The DDJ-RX has been designed to deliver the best possible integration and responses with the Rekordbox DJ software. Mirroring the software's layout for instinctive performances, the 16 back-lit rubber Performance Pads instantly trigger quantized Hot Cues, Slicer and Pad FX. This controller comes with four preset Sound Colour FX buttons - Noise, Crush, Pitch and Filter. These presets will be further customisable in the future with the upcoming Rekordbox DJ Plus Packs. The Pad FX allows you to create multiple FX chains using all 16 pads, while the Sequencer mode provide you with the ability to record, play and loop sample sequences on the fly. 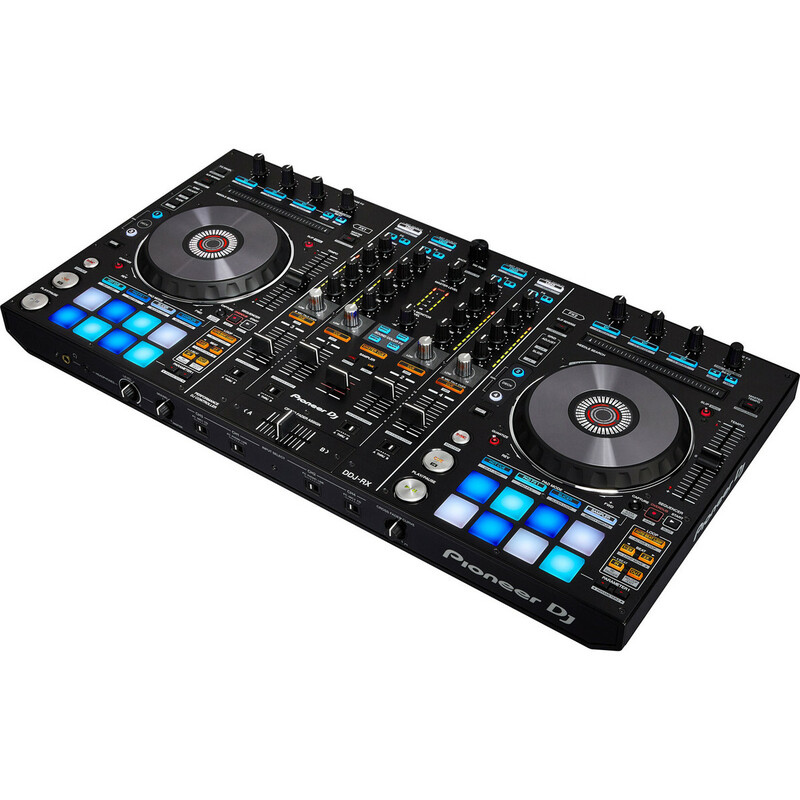 Furthermore, the DDJ-RX can trigger up to three of Rekordbox DJ's quantized Beat FX, as well as releasing complex FX patterns with a vinyl brake, echo or back spin. The 16 slot with 4 bank sampler gives you the freedom to trigger and manipulate your own samples that can be pre-loaded into the banks within Rekordbox DJ. Both of the large aluminium jog wheels are optimised for to deliver the perfect scratch response. These wheels feature illuminated cue point markers and an accurate countdown for even greater scratch and reverse precision.